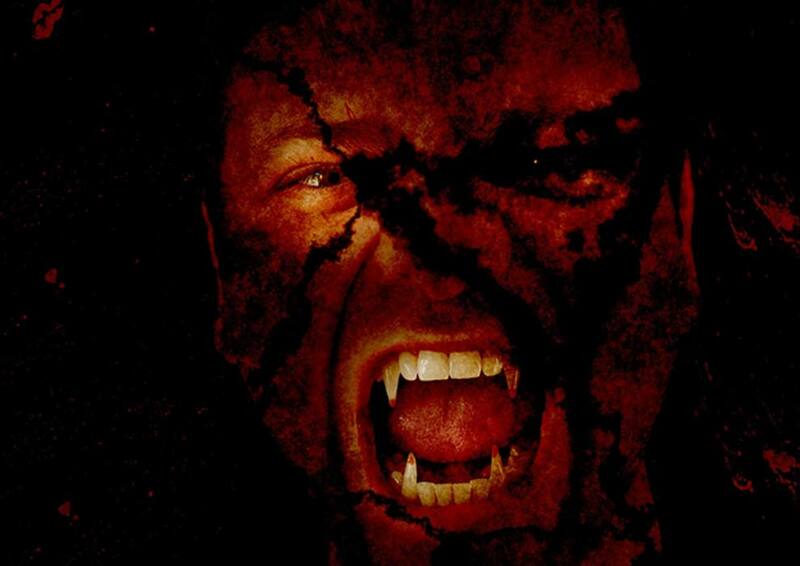 If vampires existed in our modern age, it would be easy to imagine them in New Orleans, creeping from the shadows of the crypts in the St. Louis Cemetery or prowling for victims in the unlit alleys of the French Quarter. In the Crescent City, beauty and darkness go hand in hand and history steps forward to make itself known in the present day. Ancient legends of these immortal creatures made their way to America along with immigrants and adapted to their new land. One of New Orleans’s most enduring vampiric legends has its roots in old European folklore. According to the stories, sometime in the early 1900s a mysterious man arrived in New Orleans under the name Jacque St. Germain. Handsome, elegant, wealthy, entertaining, extravagant, mysterious, and a bit curious, his reputation preceded him, and he was soon a hit in New Orleans society. The eccentric Jacque St. Germain is said to have taken residence at the home located at 1039 Royal Street. St. Germain was apparently a cavalier and quite the lady’s man, frequently seen with a beautiful woman on his arm while strolling through the French Quarter, or clubbing in elegant locales late into the night. He delighted in throwing elaborate dinner parties for the city’s socialites. His parties were highly anticipated due to their lavish cuisine, fine wine, and entertainment. Most relished, however, was his own conversation. St. Germain fascinated his guests with stories of France, Italy, Africa, and even Egypt. Visitors were delighted and amused by his eloquent grasp of the English language. They were a bit confused, however, when he spoke of events hundreds of years in the past in such precise detail as though he himself had participated. Many guests placed little value in the truth of his tales, simply embracing them for the entertainment value during their visits to his home. 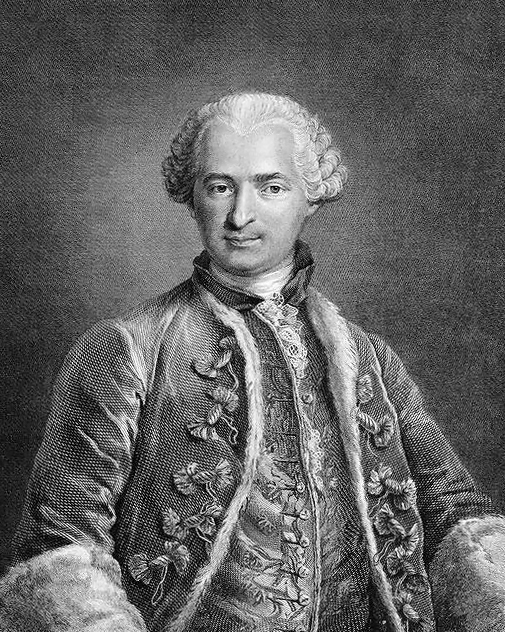 Not long after his arrival to New Orleans, St. Germain claimed he was a direct descendant of the Comte de St. Germain, a close friend and servant to King Louis the XV in the 18th century. His claim aroused skepticism, but his resemblance to the Comte was uncanny. Eagle-eyed guests noted that portraits never depicted the Comte as older than forty, the same age that Jacque St. Germain had appeared since he’d arrived in New Orleans. Rumors started to spread in jest that Jacque St. Germain may in fact be the very celebrated Comte St. Germain himself, somehow rendered immortal and ageless. Jacque seemed to enjoy the mystery he had created around his persona, and neither confirmed nor denied it. Although St. Germain’s catered parties were highly celebrated, the host was said to have relished in his guest’s satisfaction of the offered feasts without partaking himself, often standing apart from the table drinking from a lavish chalice, presumably filled with wine. During dinner he offered fantastical recollections of his adventures for his guests’ enjoyment. The very strange habit of not partaking in meals at his own soirees, coupled with his remarkable resemblance to the Comte St. Germain, had some in the city suggesting in good fun that perhaps the mysterious man was in fact a vampire. These rumors took a sinister turn several months after St. Germain’s arrival to New Orleans, when the police were called to St. Germain’s home to investigate the circumstances leading to a woman who had seemingly fallen from his gallery, a full story above. His guest, a woman who was rumored to have been a prostitute, had in fact leapt from his balcony, rather than fallen, as bystanders had originally surmised. While she survived the fall, she was terrified. People on the street surrounded her and tended to her needs while help was rounded. Hysterical, the woman ranted that she had jumped to escape St. Germain, who had bitten her neck. She screamed and sobbed out her story, claiming she was only able to escape when her assailant was briefly distracted by a rather loud knocking on his door. The woman was taken to the hospital as soon as possible, and the police, suspecting that she had become delusional, told the very well-known, affluent, and respected St. Germain not to bother coming in for questioning at this late hour, but rather to please visit the police station in the morning to go over the accounts of the evening. The police were confident that there was a reasonable explanation for what had transpired. The next morning, St. Germain never appeared at the police station. In fact, to everyone’s chagrin, he had completely vanished overnight, leaving the majority of his belongings behind. Legend suggests that upon breaking into his house, the police were cautious and in great anticipation of what they might encounter. On the second floor of the house they discovered a series of open but corked wine bottles. Upon closer investigation, they discovered the large collection of bottles were filled with a terrifying mixture of wine along with large quantities of human blood. Jacque St. Germain was never seen again. He disappeared just as mysteriously as he had arrived. As one can only imagine, his contemporaries were shocked at this scandal, feeling both betrayed and fooled, and probably a little disappointed that the fun had come to an end. Jacque St. Germain or the Comte de St. Germain? Questions remained unanswered and this is where the legend of Jacque St. Germain as a vampire began to flourish. Had “the” Comte St. Germain of the 1700s made his way to America? 20th-century New Orleans socialites noted Jacque St. Germain’s resemblance to 18th century nobleman the Comte de St. Germain and the similarities between the two don’t end there. The stories of both St. Germains closely parallel each other, although the elder has a great deal more written material to sink your teeth into. So much mystery, speculation, and silliness exist in writings around the Comte’s persona that at times, one could almost conclude him a fictional character - but for the fact that many affluent leaders and prominent personalities of the time make note of his existence. With no official birth records available, the true origins of the Comte St. Germain are a matter of some disagreement among historians. 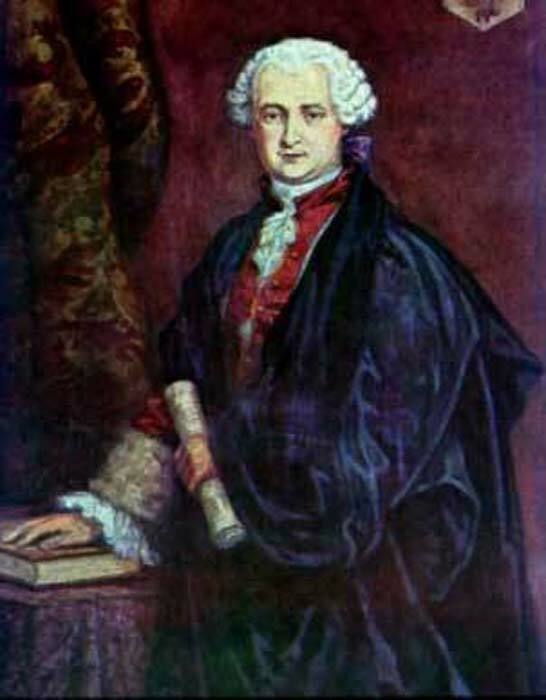 Prominent 19th-century Theosophist (a branch of occultism) Isabel Cooper-Oakly alludes in her book The Comte de St. Germain, the Secret of Kings , that he was most likely born at Lentmeritz in Bohemia at the end of the 17th century, and is said to have been the youngest son of Prince Franz-Leopold Ragoczy, of Transylvania and the Princess Charlotte Amalia of Hesse-Wahnfried. Because of the tumultuous political environment at the time, it is said that as an infant he was placed under the care of the last Medici family, Gian Gastone, which many have speculated may have contributed to his very rich education. Since that publication, many later writers have repeated his beginnings as a Ragoczy as fact. However, in the very well-researched work The Comte De Saint Germain, Last Scion of the House of Rakoczy , author Jean Overton Fuller confirms that it is only speculation. 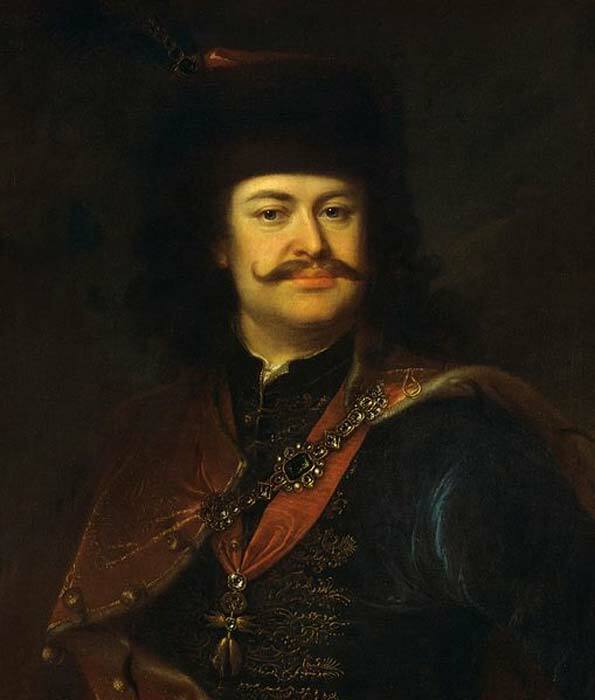 Portrait of Francis II Rákóczi (painted by Ádám Mányoki). ( Public Domain ) Some scholars believe the Comte de St. Germain was part of the ‘House of Ragoczy’. 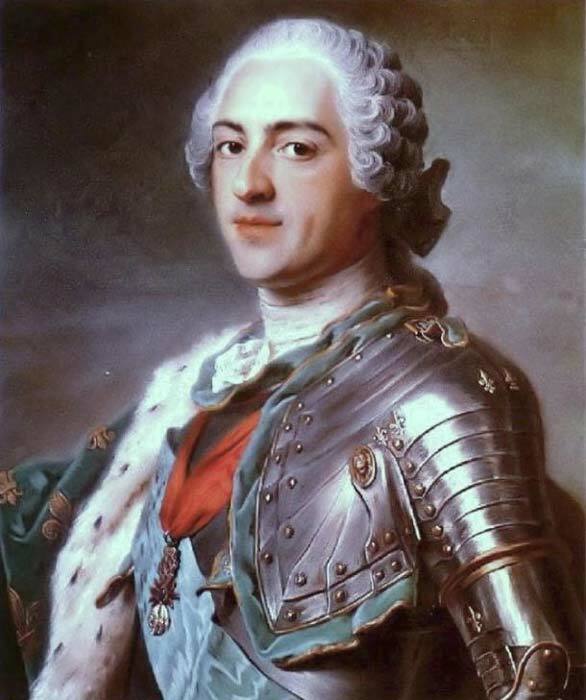 St. Germain’s refusal to give his true name, except to the King of France, Louis the XV, seems to indicate that he was in fact protecting some house of royalty. While it was common to use many titles in that day and age, it was highly unusual and suspect to not give up one’s true identity when asked by a figure of authority. However, the acceptance of his presence so close to the king also indicates that the king was satisfied with his explanation of his origins. 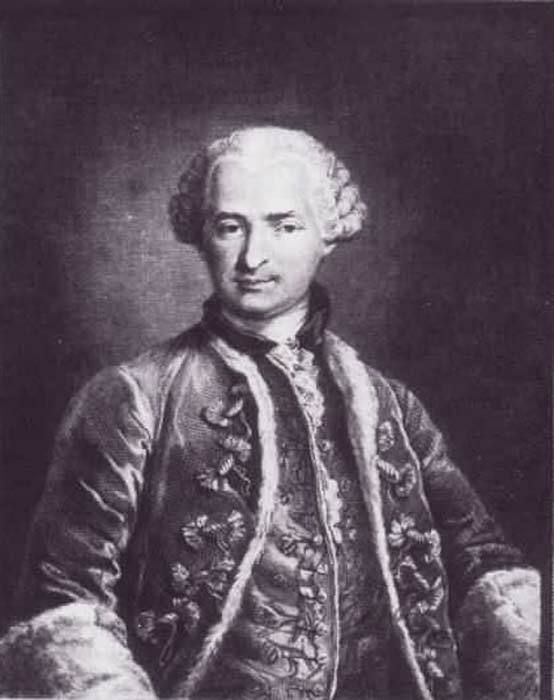 Very much like Jacque St. Germain in New Orleans, the Comte St. Germain spun fantastical tales, purportedly claimed to have had conversations with Cleopatra and The Queen of Sheba, and professed to have been present during remarkable historical milestones, many of which took place over 500 years prior. Cooper-Oakly explains that some of the historical confusion surrounding The Comte’s claims stems from his tremendous use of a variety of titles, as was customary at the time, a custom that was tolerated in French Society to present that one was not simply a commoner, but rather came from some service to the King. 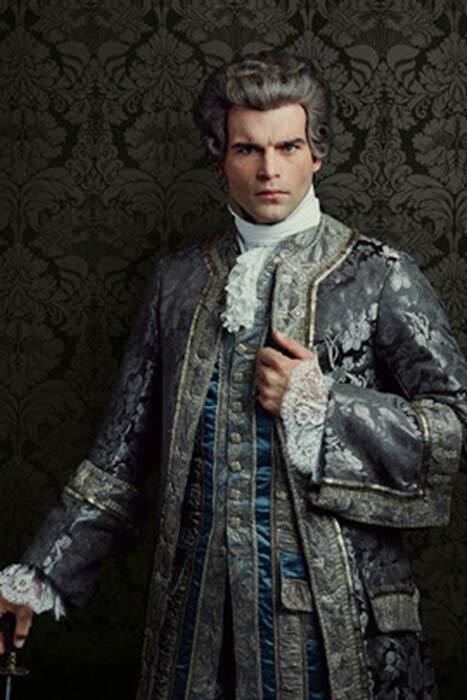 The Comte de Saint Germain is said to have been an aristocrat with no profession. However, he certainly must have profited from his association with King Louis XV of France, as well as his diplomatic involvement with other political leaders. In fact, it was his ability to produce funds in abundance, whenever necessary, that had him under suspicion of being a spy. Stories also say the Comte de St. Germain was well accomplished in a vast variety of areas. He was ambidextrous, a great musician, a linguist, and a noted alchemist. There are countless tales of him precipitating diamonds out of thin air, or changing worthless stones into precious jewels, manipulating metal into gold, fine tuning imperfect diamonds into fused masterpieces, and creating an elixir of life, which many in his circles at the time felt must have been responsible for his own youthful appearance and health. Perhaps there is only one St. Germain and he has lived across centuries, ageless, with no need for nourishment but the curious mix of wine and human blood discovered in his rapidly abandoned house in New Orleans. To learn more about vampires in New Orleans, you can check out Marita Crandle’s latest book ‘ New Orleans Vampires: History and Legend’ .